The Windsor Arms has been the home away from home for visiting royalty, aristocracy, stars of film and screen as well as heads of state and industry. 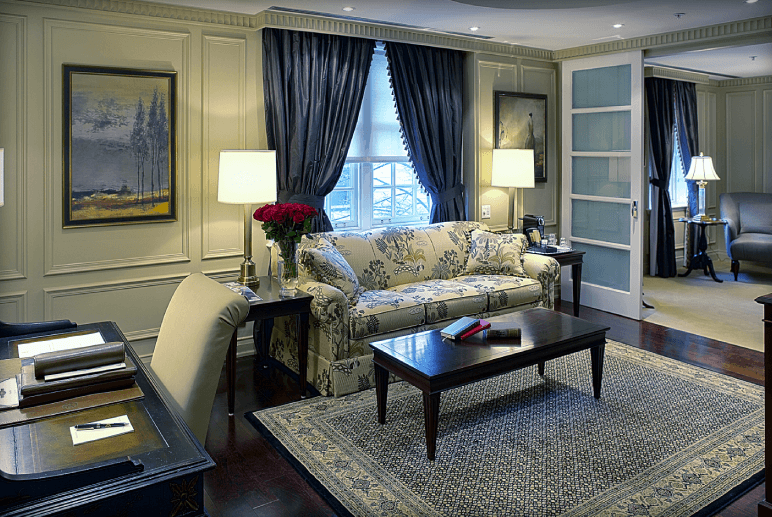 The Windsor Arms Hotel is renowned worldwide for its excellence, intimacy and attention to the finest details. 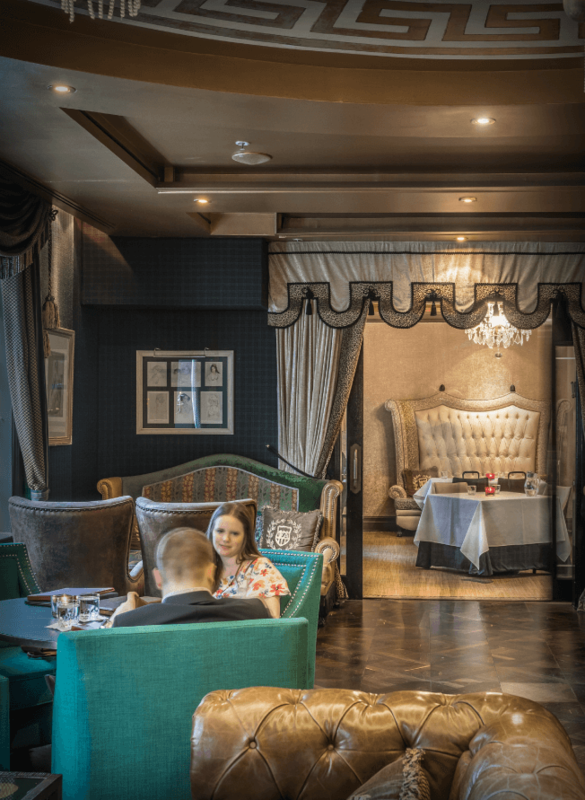 Originally built in 1927, then completely rebuilt in 1999, the Windsor Arms Hotel harmoniously synthesises the comfort and convenience of the 21st Century with a distinct spirit and the aesthetic quality of a bygone era. Our dedicated team of staff are at your service to seamlessly guide you through all the decisions of event planning. Here to offer guidance and support, our team will advise and assist you in planning the perfect menu, design and execute all the décor…truly a one stop shop. Our largest suite, the Windsor Suite, features a spacious den with fireplace, living room with 2 sofas that covert to double beds, dining room with large oval table, and powder room. The master bedroom is complete with luxurious limestone ensuite bathroom and baby grand piano. 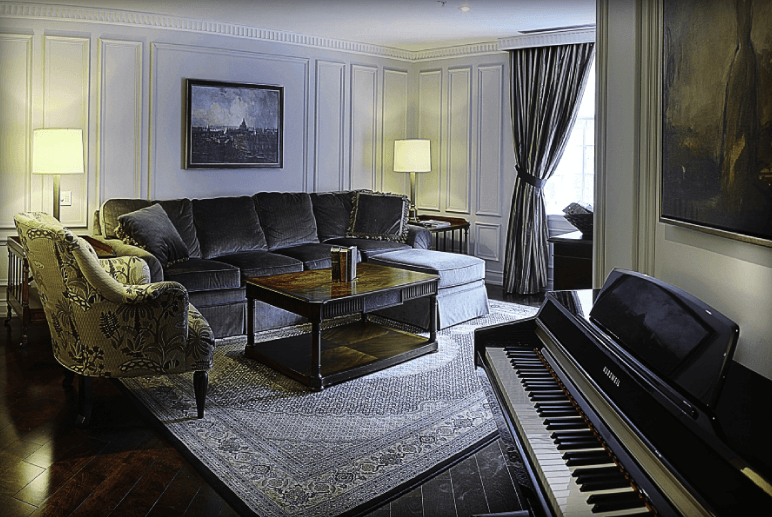 Additionally, this suite benefits from a large working desk, Molton Brown amenities, Nespresso maker, butler service, and complimentary wireless internet access. Numerous windows flood our Corner Suites with sunlight. These suites feature beautiful hardwood floors and two sofas that convert to real double beds in the living room. The Corner Suite can become a two-bedroom suite, perfect for families, by adding a connecting Junior Suite with two double beds. 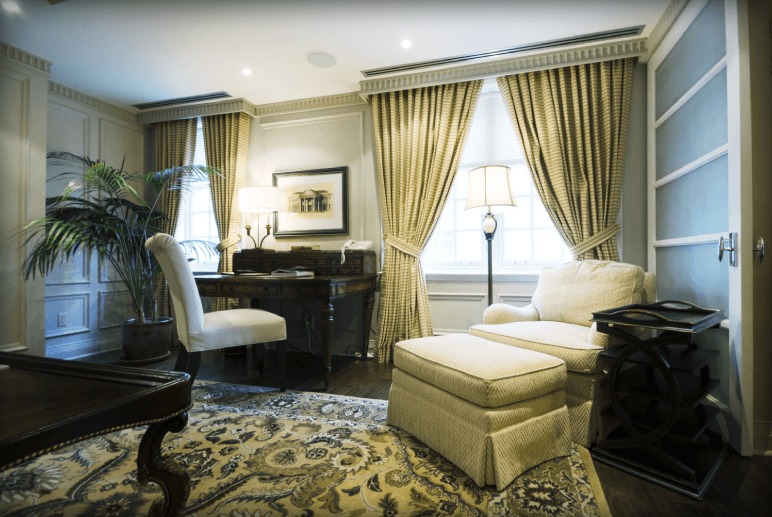 Additionally, this suite benefits from a large working desk, deep soaking tub, separate shower, Molton Brown amenities, Nespresso maker, butler service, and complimentary wireless internet access. Two Bedroom Suites feature a master bedroom with king bed and ensuite bathroom, living room with sofa that converts to a real double bed, 3-piece bathroom with standing shower, and full 2nd bedroom with a king or two twin beds. 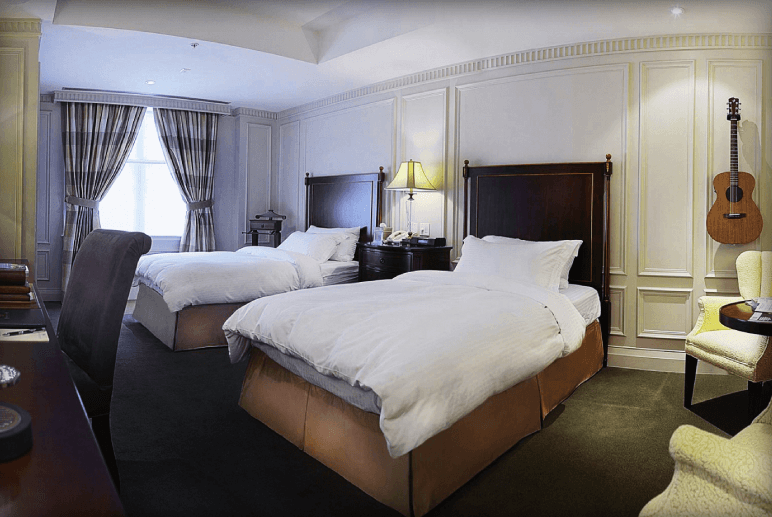 This suite can also become a three-bedroom suite by adding a connecting Junior Suite. 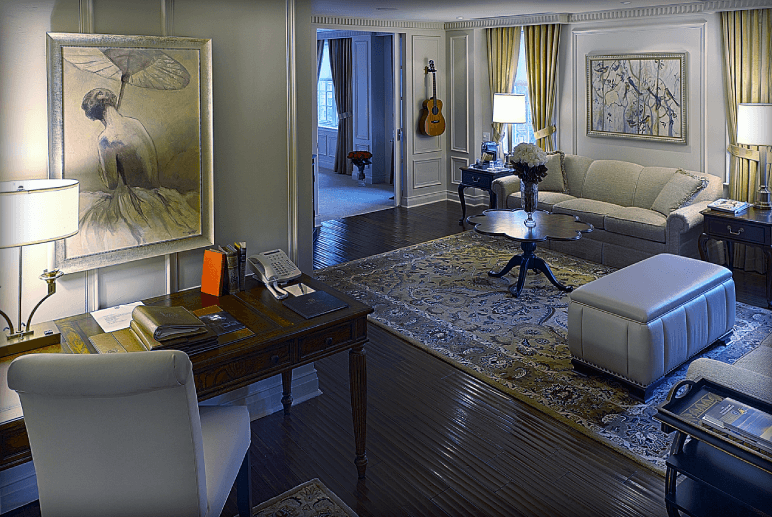 This suite includes a large working desk, acoustic guitar, Molton Brown amenities, Nespresso maker, butler service, and complimentary wireless internet access. Often referred to as the “Bridal Suite”, the Sultan Suite features a king Bed, separate living room with a sofa that converts to a real double bed, large working desk, deep soaker tub, separate standing shower, a piano or acoustic guitar, Molton Brown amenities, Nespresso maker, Butler service, and complimentary wireless internet access. Our spacious Deluxe Suites feature a king bed, separate living room with a sofa that converts to a real double bed, large working desk, deep soaker tub, separate standing shower, an acoustic guitar, Molton Brown amenities, Nespresso maker, butler service, and complimentary wireless internet access. 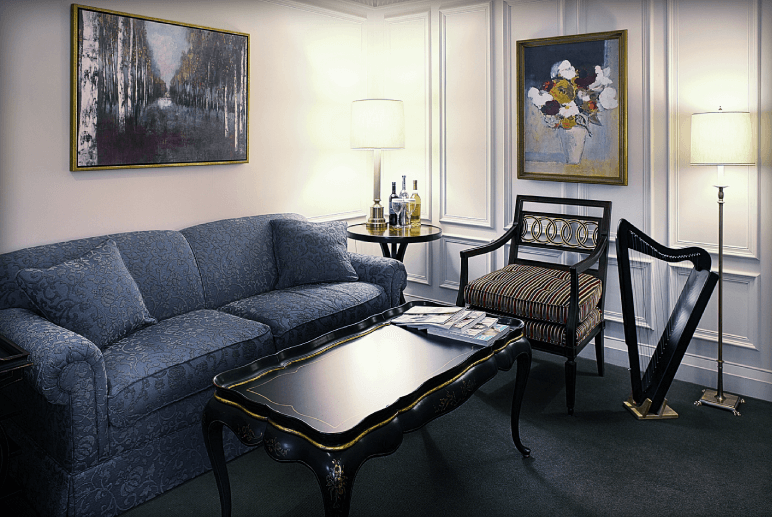 Some Deluxe suites adjoin a Junior Suite allowing additional accommodations. 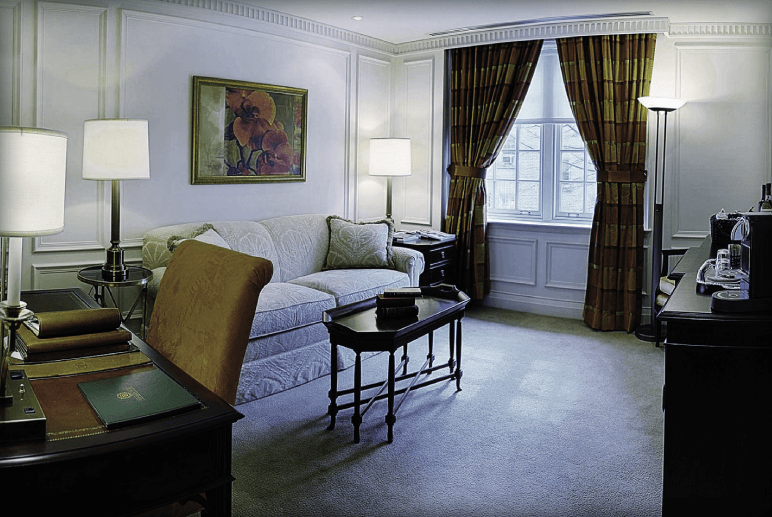 The Yorkville Suite features a king bed, separate living room with a sofa that converts to a real double bed, large working desk, deep soaker tub with separate standing shower, a harp, Molton Brown amenities, Nespresso maker, butler service, and complimentary wireless internet access. 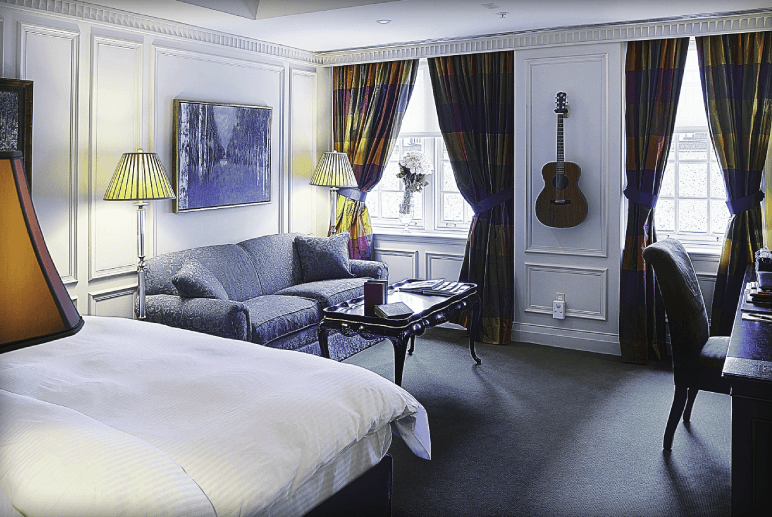 King Junior Suites feature a king size bed, sofa that converts to a double bed, deep soaker tub with separate standing shower, an acoustic guitar, Molton Brown amenities, Nespresso maker, butler service, and complimentary wireless internet access. Junior Suites feature two double beds, 2 lounge chairs, a deep soaker tub with separate standing shower, an acoustic guitar, Molton Brown amenities, Nespresso maker, butler service, and complimentary wireless internet access. Our spacious suites are designed and furnished to become your home away from home with featuring all of the services, features, and amenities you could dream of. Our full service Spa features a comprehensive line of luxurious skin and body treatments as well as a Bromine Salt Pool, Salt Cave, and state-of-the-art fitness center. 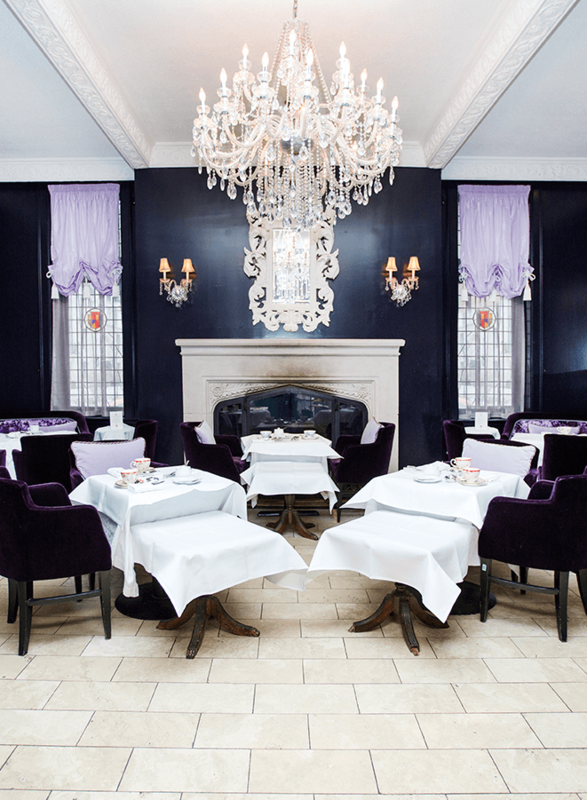 We are pleased to offer culinary grandeur and elegance at Windsor Arms Breakfast, Lunch, Dinner, Afternoon Tea and our signature Sunday Brunch Buffet. Explore our 20,000 bottle wine cellar, or sip on one of our seasonally inspired cocktails as you relax and unwind at The Gatsby to the soulful sounds of our live entertainment. At the Windsor Arms, we believe that dreams do come true and we work in partnership with you to blur the line that divides fantasy and reality. We hope that the definingly elegant, traditional, and luxurious quality of our spaces will inspire the imagination and provide the perfect stage for a once-in-a-lifetime performance. Our elegant and flexible spaces, and impeccable standard of service provide the perfect setting for meetings and events. Our seasonally inspired menus are designed to delight the appetite and accommodate all dietary preferences including vegan, vegetarian, gluten-free and kosher. 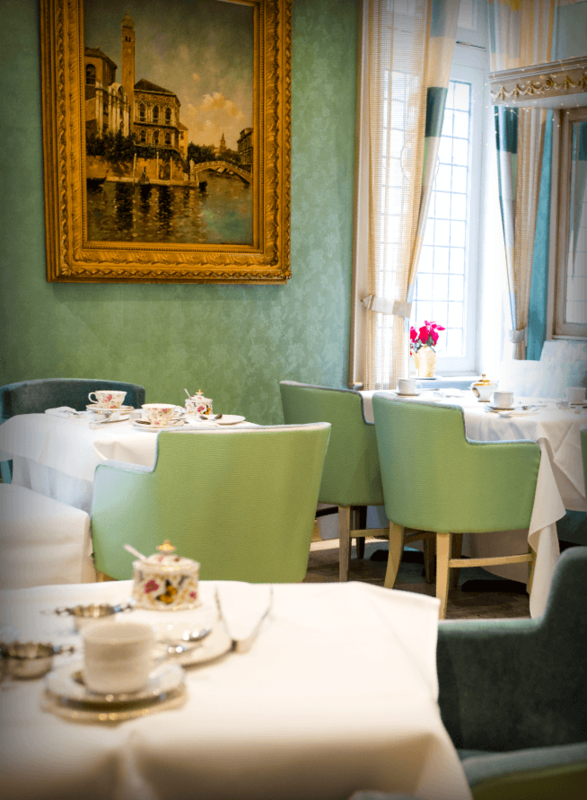 Our iconic High Tea and Afternoon Tea continue to be a much-loved tradition, served in our historically enchanting tea rooms every day of the year. Our strictly Kosher restaurant under the Rabbinical Supervision of COR open for dinner nightly from Sunday to Thursday and on other days and times by special reservation.